Principal Kempton Facts, Figures and Top Trends. The most prestigious race held at this venue is the Grade 1 William Hill King George VI Chase held on December 26th (Boxing Day) every year. Although in 2010 the race was rescheduled to Jan 15th 2011 due to bad weather. The prize money in 2011 is £102,618 and the race was won by the Nicky Henderson trained, Long Run who went on to win the Cheltenham Gold Cup in March. 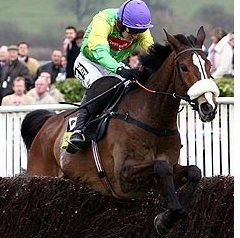 The most successful horse to contest the King George is Kauto Star who won 4 successive renewals from 2006 - 2009, gaining his last win there by a record 36 lengths. Prior to that Desert Orchid won the race 3 times. The only other Grade 1 race is the williamhill.com Christmas Hurdle which is also staged at the Boxing Day meeting with prize money of £42,758 at the last renewal. Flat racing is also staged during the summer and all weather racingthroughout the year. 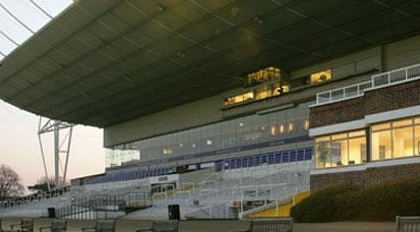 The Kempton course employs a similar Polytrack surface as Wolverhampton and Lingfield. There are 2 principal Listed races on the all weather held at the beginning of April, the William Hill Snowdrop Fillies' Stakes and williamhill.com Magnolia Stakes.